Pennsylvania Department of Transportation (PennDOT) officials highlighted roadway improvements using recycled asphalt paving, or RAP, on nearly 4 miles of lower volume roads in Monroe County. 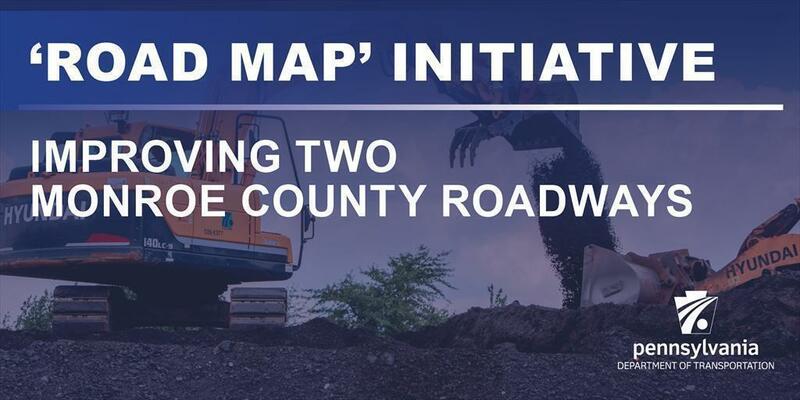 "This project is another example of how our Road MaP initiative is helping us improve the lower-traffic roads that connect our communities," PennDOT Deputy Secretary for Highway Administration George McAuley said. "RAP is one of the many low-cost tools we’re putting to work, and the resulting savings can be used for more department or contract work to improve more roadways." The project is made possible due to PennDOT’s Road Maintenance and Preservation (Road MaP) initiative, which Governor Tom Wolf recently announced will invest $2.1 billion in roadway maintenance and highway and bridge capital projects over the next 10 years. RAP is an environmentally conscious method that repurposes ground millings from projects onto other roadways, and allows the department to pave less-traveled roads that otherwise wouldn't be paved, or to reinforce roadway shoulders. PennDOT will use RAP on 2.32 miles of Route 3026 (Camp Akiba Road/Smith Hill Road) and 1.56 miles of Route 4007 (Manor Drive/Fairview Avenue). These roads were chosen based on their "poor" pavement-quality rating and proximity to the stockpile where the materials are stored. They also carry an average of fewer than 3,000 vehicles each day and trucks make up 10 percent or less of the traffic. With roughly 3 inches of RAP compared to an equivalent of 2 inches of new asphalt, PennDOT estimates a $245,000 cost with RAP compared to roughly $584,000. PennDOT can redirect these savings to other maintenance improvements or contracts. "The PennDOT District 5 maintenance staff manage their budget effectively, and are excited about the desperately needed additional maintenance resources Road MaP provides," said Jill Krause, PennDOT's assistant district executive for maintenance in the region including Berks, Carbon, Lehigh, Monroe, Northampton, and Schuylkill counties. Last year, PennDOT estimated it would cost more than $30 million just to repave the 173 miles of low volume roads with rough pavements in Monroe County. An additional $15.1 million will be invested in Monroe County through the 2028-29 fiscal year due to Road MaP. The RAP project complements an estimated 257 miles of roadway improvements and 93 bridge projects anticipated to begin in 2017. More information on Road MaP is available at www.penndot.gov on the "Act 89 Transportation Plan" page. For more information on projects occurring or being bid this year, those made possible by or accelerated by the state transportation funding plan (Act 89), or those on the department's Four and Twelve Year Plans, visit www.projects.penndot.gov. For more PennDOT information, visit www.penndot.gov. Follow PennDOT information for Monroe County and the northeast region on Twitter at www.twitter.com/511PANortheast. Follow PennDOT on Facebook, Twitter, and Instagram.